As you can see from our range, many of our pieces have authentic styling details which are reminiscent of the past. Some have described our range as vintage modern furniture. As you can see from our website, many of our pieces have authentic styling details which are reminiscent of the past. 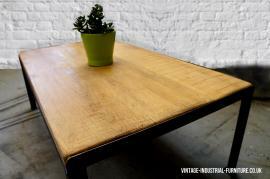 Our oak coffee table is a good example. At the same time we aim to not design "twee" products with superficial features. Instead we prefer to maintain a design ethos of simplicity and elegance as you might find on contemporary, modern furniture. As mentioned at the start of this post, the result is a suite of what one might call vintage modern furniture; contemporary with respect for a bygone era.